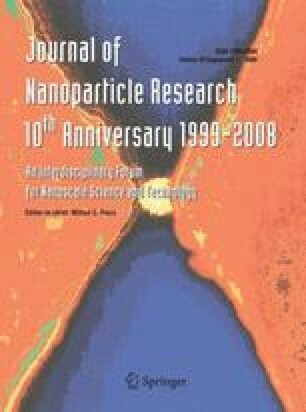 Simple strategies for producing silver and gold nanoparticles (AgNP and AuNP) along with the corresponding core shell nanoparticles (Au–Ag and Ag–Au) by reduction of the metal salts AgBF4 and HAuCl4 by NaBH4 in water will be presented. The morphologies of the obtained nanoparticles are determined by the order of addition of reactants. The obtained NPs, with sizes in the range 3–40 nm, are characterized by transmission electronic microscopy (TEM) and UV–Vis absorption spectroscopy, so as to evaluate their qualities. Moreover, a direct electrochemical detection protocol based on a cyclic voltammetry in water solution that involves the use of glassy carbon electrode is also applied to characterize the prepared NPs. The developed NPs and the related electroanalytical method seem to be with interest for future sensing and biosensing applications including DNA sensors and immunosensors. The author Fraser Douglas is on leave from: Chemistry Department, University of Glasgow, Glasgow G12 8QQ, UK. The online version of this article (doi: 10.1007/s11051-008-9374-3) contains supplementary material, which is available to authorized users.